Travel is the only thing you buy that enriches your life. Let us make your dream of travel a reality. Actc’s “Incredible Journeys” program is for people who view travel as an integral element of their lives. These tours deliver unique travel opportunities and experiences – precisely for you, the world explorer. The “Incredible Journeys” are specially designed by Mark Madhukar Sood & Debika Sen, who utilize their more than 30 years of experience to design special tours for the travelers longing for tours out of the ordinary, off the beaten path with extraordinary experiences, every step of the way. ACTC’s “Incredible Journeys” offers travel with personal service, innovative journeys and unique insider’s opportunities not available anywhere else in the travel community. 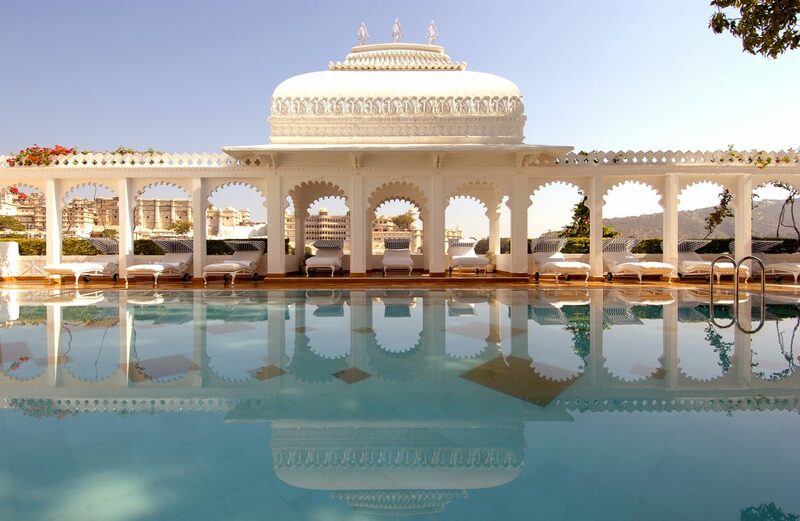 Our Luxury tours are designed for people who want more from their vacation- RELAX & REJUVENATE. Be pampered by your hosts, offering exclusivity, comfort, authenticity and more. ACTC specializes in designing custom luxury tours. Our travel experts can create a vacation around your specific interests. Our Tailor Made journeys are private: just you, your companion(s), and your local host, who helps you get the most out of every day of your vacation. Our expert guides and brilliant travel concierges are destination experts to provide a genuine experience, bringing your destination to life with care and passion. During the Goldman Sachs 10,000 Small Businesses Program, we were challenged to come up with unique travel programs for women. In checking the travel market, we found the tours catered to women included the usual sightseeing, standard meals, spas, shopping and wellness programs. We did not see much substance regarding women and their impact on society, today’s world and growth through changing times. I felt there is need to design tours, by the women for the women, where we meet with women of visiting country, understand their journey through life, how they lost their identity and re-claimed it. What it means to be empowered and inspired by one another. Come join me on this incredible travel experience for “women”, a journey of self discovery and empowerment meeting some of the most inspiring women of the world. Come take the challenge for a life changing experience! The Exotic travel destinations “Incredible Journeys” offers are infused with a kaleidoscopic blend of enchantment and sensual indulgence. Unique local events and festivals create unforgettable moments- not typically seen by outsiders ensuring an experience that no previous travel compares. The possibilities of intoxicating experiences are diverse that have been hand crafted for your pleasure. GET MORE FOR YOUR MONEY ON AN INCREDIBLE JOURNEY WITH “ACTC”. 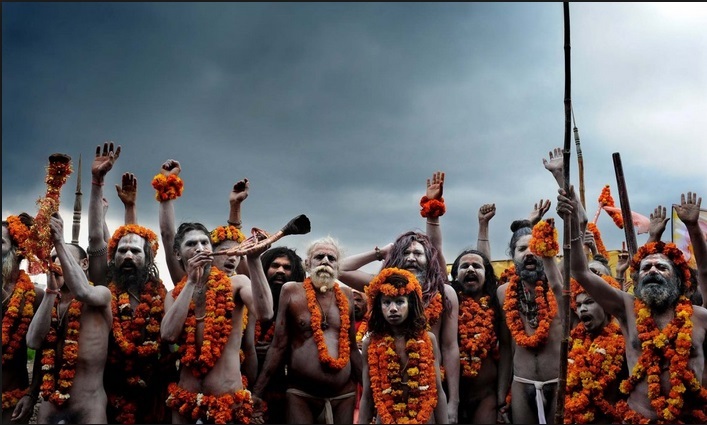 Be inspired by exceptional experiences of Kumbh Mela and Desert Festival. The spiritual, mesmerizing and epiphanic value of Kumbh Mela in India leaves an indelible imprint on the minds, where as the Desert Festival is a three-day extravaganza of color, music and festivity, held at the golden city of Jaisalmer. Bali is the festive face of Indonesia, the jewel in its crown. “Island of the Gods” and “Morning of the World” Profoundly influenced by its rich Hindu culture, Bali has 20,000 temples, 60 annual religious holidays, and 2,000 dance troupes. Witness the Melasti, Ogah Ogah festivals before proceeding to see the Komodo Dragons. The rice-farming, pig-breeding, water-buffalo-loving Toraja inhabitants have become the focus of attention thanks to their elaborate ceremonies, burial sites and traditional houses, while in central Java visit the world’s largest Buddhist temple `Borobudur’ & the largest Hindu temple complex of Indonesia `Prambanan’. The allure of Southeast Asia is in the unexpected blend of stunning pagodas and romantic colonial architecture. Walk the historic streets of Hanoi and Ho Chi Minh City. For lovers of the great outdoors, there is Sapa. Board a traditional-style Chinese junk for a cruise on Vietnam’s magnificent Ha Long Bay, discovering the karsts landscape by kayak. Explore caves and waterfalls in the jungles surrounding Laos’ beautiful Luang Prabang. In Cambodia Phnom Penh offers chance to understand the country’s culture and history. No trip would be complete without visiting Cambodia’s Angkor Wat temple complex – it really is one of the wonders of the world. 18 Days Visiting: Vientiane, Luang Prabang, Hanoi, Halong Bay, Laocai (ethnic minorities), Ho Chi Minh City (Saigon), Phnom Penh & Siem Reap. Airfares are based on lowest available at time of publishing. Subject to change upon availability. Fares are not guaranteed until ticketed. Mongols refer to their motherland as “Blue Mongolia.” Because of the nomadic lifestyle which is closely intertwined with the natural environment, Mongols have developed deep traditions of reverence to The Heaven, as their main protector. The land of Chinggis Khan `the conqueror’ who started with nothing and ended up changing history. While the old traditions survive and the wild nature is still mostly intact meeting up with the nomad families whose relentless sense of hospitality can at times be nothing short of overwhelming. NAADAM FESTIVAL– covers the biggest event of the Mongolian year. The festival held in Ulaanbaatar is part family reunion, part fair and part nomad Olympics; Naadam has its roots in the nomad assemblies and hunting extravaganzas of the Mongol armies. CALL FOR INTERNATIONAL FARES FROM YOUR HOME TOWN OR ARRANGE ON OWN. Discounted airfares in Economy, Business and First class available on request. India is a land of festivals. The harmony of different cultures and traditions is best experienced during festivals in the country. During Navratri for 9 nights people gather in open spaces to celebrate and perform Ras Garba. One can experience ‘Unity in diversity’ during Dussehra celebrations that take place in every state of the country. Whichever part of the country you are in you will experience a different Dussehra altogether. Join ACTC to see the three distinctly different celebrations of same festival beginning in Gujarat , Western India, Bengal in the East and Karnataka in the South– Architecture, Ancient History, Tribal’s, Handicrafts, Royalty & MORE. Discover the miracles of the Himalayas, BE PART OF THIMPHU TSECHU, mythology and spiritual beliefs through the dance dramas. Go behind the scenes to see the monks prepare themselves for the festival & dances. WITNESS THIMPHU DRUBCHEN showcasing the sacred dances dedicated to the chief protective deity of Bhutan. Drive through aroma filled spruce blue pine, rhododendrons forests . Appreciate the architectural wonders of the temples, monasteries. INTERNATIONAL AIRFARE- Discounted airfares available from your home city in Economy, Premium Economy & Business class. Check at time of booking. Dominated by the mighty Himalayas, bordering Tibet, Myanmar, Bangladesh and Bhutan, North East India is a fascinating tapestry of culture. Unparalleled in the diversity and isolation of its tribes, the people here continue an authentic, traditional way of life in one of the world`s bio-diversity hot-spots. Join tribal celebrations at Manipur’s Sangai Festival and at Nagaland`s Hornbill Festival. Meet the ancient and little known tribes of Nagaland & Manipur & search for the unicorn rhino on elephant back in Kaziranga. North East India offers the ultimate off-the-beaten-track cultural experiences. Brimming with natural splendor and cultural diversity, South India is a mystical land of rock-hewn temples, palm-fringed shores, and fragrant spices. Fall under the spell of this captivating region as you journey from multicultural Chennai to the enchanting backwaters of Kerala, stopping to unveil the architectural wonders of Mahabalipuram, meet with locals in their fishing villages and tribal homes. Join them in the local markets, farms and fairs or even on pilgrimage in Coimbatore. Experience the culture, religion and history of this region along with the annular eclipse. English sailors, Dutch traders, Portuguese spice merchants – each called Sri Lanka home. Each left behind a colonial legacy that calls this place the Pearl of the Indian Ocean. Home to a range of landscapes, each more exotic than the next, it’s predominantly Buddhist spirituality mingles with the remnants of its history in the spice trade. 15 Days visiting: INDIA– Chennai, Mahabalipuram, Kanchipuram, Coimbatore, Thrissur, Kochi. SRI LANKA– Negombo, Dambula, Sigiriya, Anuradhapura, Polonnaruwa, Minneriya National Park, Matale, Kandy & Colombo. There are certain places that have the ability to capture the romance and magnificence of an era that once was. Hampi (a UNESCO World Heritage Site) was the capital of the Vijayanagara Empire from 1336 -1565 is one of them. A walk through the ruins in the area is more than just a sightseeing expedition. The monuments and ruins present contrasting imagery. On one hand, they portray the skill and artistry that existed in the ancient period. On the other hand, they are a reminder of the mass destruction that was brought forth by attacking armies. With a complex of palaces, temple and other monuments, Hampi is a large open-air museum that allows travelers to get a glimpse into the past. Next witness the cradle of Indian temple architecture at Aihole, Badami & Pattadakal that are steeped in history. Begin tour with the Old City of Hyderabad, one of India’s most evocative ancient quarters.. Looming over the Old City are some of Islamic India’s most impressive architecture. Cruise the scenic backwaters of Kerala comprising of serene stretches of lakes, canals and lagoons located parallel to the coast of the Arabian Sea.